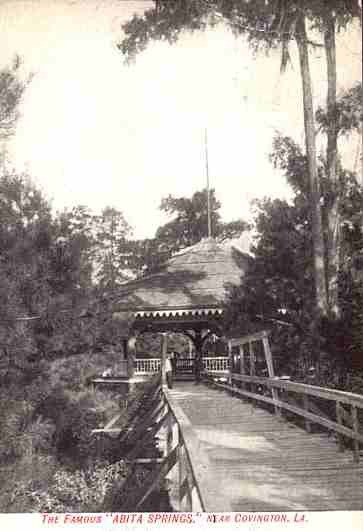 Abita Springs has been a "tourist town" for about 100 years ago. 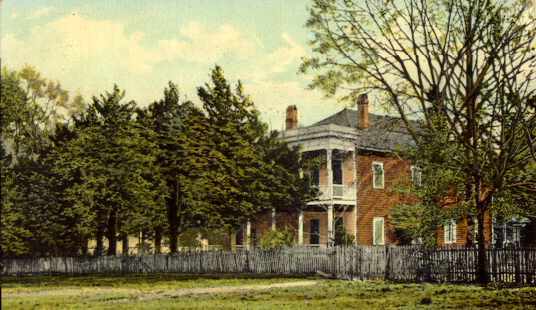 Hear are some old postcards we found that you may find interesting. 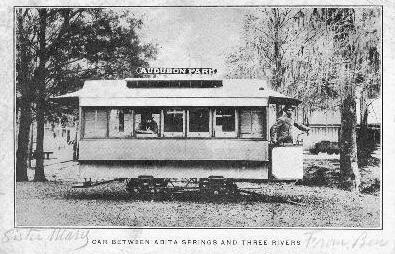 carried in this "car" to Abita Springs from the Three Rivers dock. 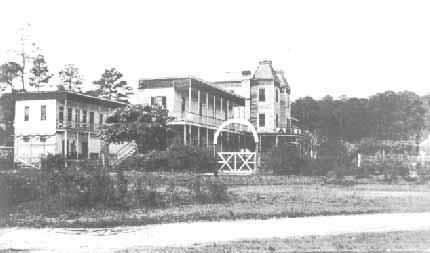 The New Abita Springs Hotel. The railroad depot welcomed visitors. Abita Springs had a lively livery. 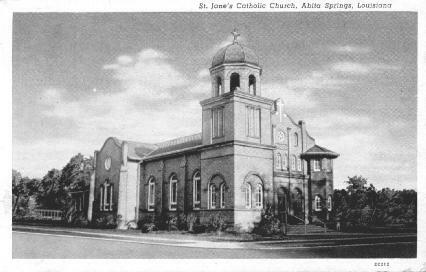 St. Jane's Catholic Church still has active parishioners. You'll find this old brick church about 2 blocks from the UCM. 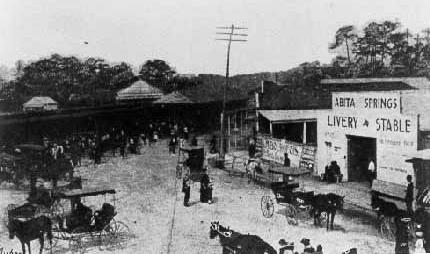 The large building is the ABC grocery. It burnt down in the 1980's. It was owned by a very wealthy family that decided not to rebuild it. The museum is about a block from the ABC -- on the right. 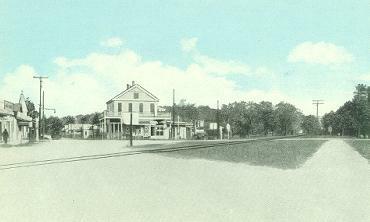 The Longbranch Hotel burnt down in the 1990's. 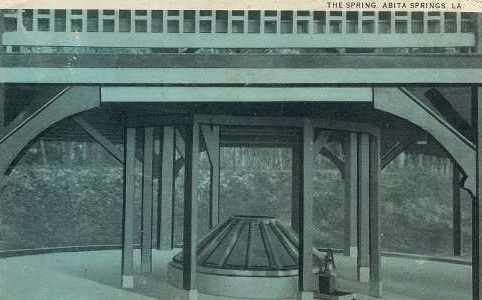 Under the large pavilion in the park was this well. It was enclosed with glass, creating an early sneeze guard.